In this article Mark Ford explains the benefits of enrolling in a marketing mentorship program. That said, lets look into the importance of joining a marketing mentorship program. Marketing can be a very complex industry and that is even more evident in digital marketing with so many platforms at your disposal to market your products and services. I would highly recommend you seeking some mentorship to help you get you business up and running and steering in the right direction. The purpose of having a mentor is to learn from the success that they have achieved and then copy it to a certain degree to create your own success. Also a mentor is always there when times get tough and believe me you will experience some really tough times. You will get frustrated at times and nothing will make any sense to you so it is great to know that there are people around you when you need a helping hand both with your business and your mindset. Marketing Mentorship Program – The Two Mentorship Programs That I Personally Recommend You Look Into! When I started my digital marketing business back in 2011 I realised that to achieve any form of success I needed to find people who had already achieved a high level of success themselves. I was fortunate to come across a new online business training company called the Six Figure Mentors which was formed by a young guy called Stuart Ross. It was the perfect solution for me because Stuart had generated millions of dollars in a very short period of time with the affiliate marketing business model. 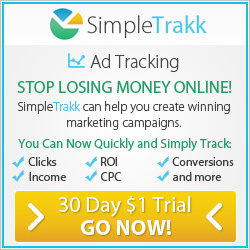 I joined the program and soon started to see some really positive results in my home business. 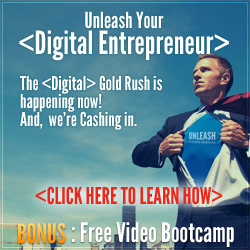 A year or so later Stuart Ross collaborated with another highly successful affiliate marketer called Jay Kubassek and they formed the Digital Experts Academy which has much higher levels of marketing mentorship and business training. So I joined the Digital Experts Academy at the top level. I am an all in type of guy! Doing this has really helped to position me as a home business lifestyle coach. I invested in my education and business to get to the position I wanted to be a lot quicker than I would if I had tried to figure out all the marketing and mindset aspects of my business myself. The Six Figure Mentors is where you start to learn the essential skill sets needed to start a profitable online business from scratch. 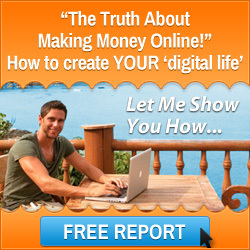 They have a modular training and mentoring program where you will learn the process of how to make money online. You will create a lifestyle and marketing blueprint to follow, and you will learn some important mindset techniques which work hand in hand with the marketing training they offer. 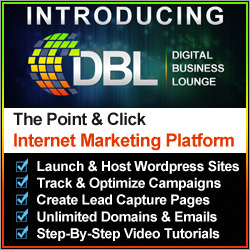 Also they have a highly sophisticated digital marketing business system that you can leverage to promote their products and services as an affiliate marketer. To learn more about the Six Figure Mentors please click here. The Digital Experts Academy is where you enroll when you have completed your basic marketing training with the Six Figure Mentors digital business system. They currently offer 4 marketing mentorship program levels which are designed to take you from being an affiliate marketer, which you can do in your spare time, into a full time digital marketing professional. They have courses that include e-commerce where you can set up a global physical product business. Also there are programs which cover higher level digital marketing strategies and then there are the top level programs that help you create your own unique brand. You can Mastermind with the elite people in the industry and collaborate with them on your own projects. To learn more about the Digital Experts Academy please click here. If you are looking for a marketing mentorship program you have not one but two to help you on your entrepreneurial journey. I look forward to seeing you within them very soon. This entry was posted in Digital Marketing and tagged mark ford, marketing mentorship program. Bookmark the permalink.